Epsom salt: A salt distilled from mineral-rich water, Epsom salt is widely used as a beauty and wellness product. It is also widely acclaimed as a legitimate treatment for arthritis, joint pain, skin disorders, and sore muscles. Some research exists that demonstrates Epsom salts have anti-bacteria and anti-fungal properties! 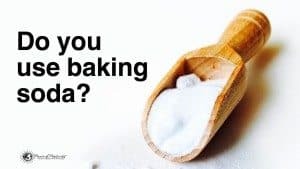 Baking soda (sodium bicarbonate): Speaking of toxins, the sodium bicarbonate in baking soda can eliminate them quick, fast, and in a hurry. Aside from terminating toxins, baking soda is a known remedy for treating sore feet and killing foot odor. Dr. Oz, in a television segment devoted to foot care, discusses the benefits of baking soda/sodium bicarbonate extensively. Castor oil: Castor oils are rich in minerals, vitamin E, and unsaturated fatty acids. In other words, it’s wonderful for pampering your feet. Also, castor oils contain potent antibacterial and anti-fungal properties. Medicinally, castor oil is widely used as a treatment for athlete’s foot. Water: No anti-toxin would be complete without water. Consumed internally, water hydrates your skin in a way that no other synthesized chemical can. Externally, when we soak our feet, water hydrates the skin and opens the pores. The latter mechanism is important for proper absorption of the other three ingredients on this list. – Pour the five to six liters of water into a bowl. – Add the baking soda, castor oil, and Epsom salt. – Mix the ingredients just a bit. 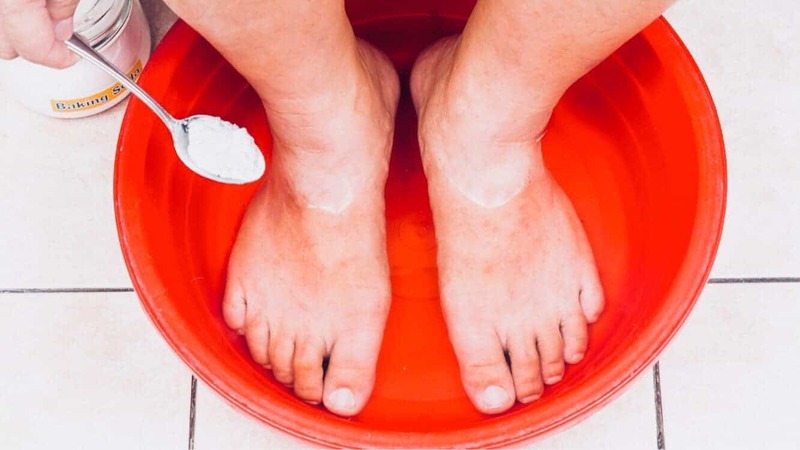 After mixing all of the ingredients, soak your feet for roughly 20 to 30 minutes. Wipe your feet off with a towel, and you’re done! Besides helping to clear our body of toxins, foot soaks are a great way to relax after a long day. The warm water hydrates your skin, soothes the muscles, and helps relieve aches and pains. All of the ingredients included in this foot soak recipe either strengthen or provide additional benefits to a traditional warm water foot soak. 1. Should not be consumed (used internally) by women who are lactating or pregnant; the same for children younger than five years and those sensitive to sodium. 2. Should not be within reach of small children. 3. Should not be applied or consumed longer than three consecutive days. Should the product cause an unforeseen side effect, discontinue use immediately.